One of my highlights of 2018 was my trip to the Australian Festival of Chamber Music in Townsville, Far North Queensland. The pianist Kathryn Stott was in her first year as artistic director and we all had a ball: an absolute bonanza of music, companionship, sunshine, palm trees, whale-watching and seriously amazing seafood. 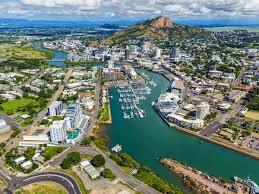 But a few months later, parts of Townsville were devastated by floods. 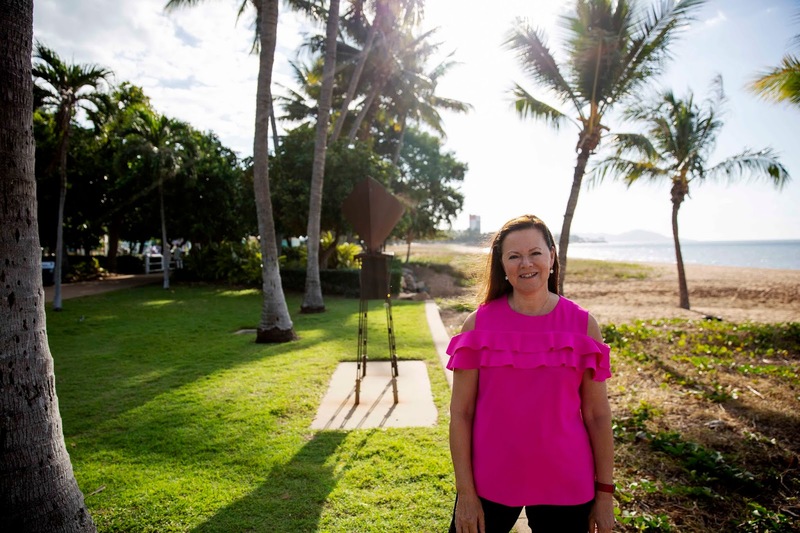 As AFCM gears up again towards the 2019 festival, I spoke to Kathy about what happened and how AFCM can help to make Townsville shine again. How are things in Townsville after the floods? The floods were terrible. On the surface now you don’t see much sign of it - on the Strand the lovely palm trees are still there and everything looks OK, but someone told me that more than 2000 homes have been condemned. There were several deaths, and I know of some people who were ill with a “flood disease”. And one person said they weren’t frightened of floods, but of being eaten by a crocodile. It’s important that people know it’s been serious, because once it is no longer in the news it’s quickly forgotten, but some people have really been struggling. The festival brings about AUS$8m into the economy and my dream now for the festival is that we will put Townsville on the map again for positive reasons. 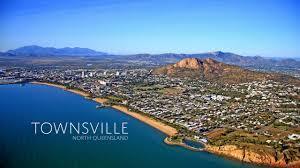 There’s a hashtag, #TownsvilleShines - you often see it on social media: it needs to shine again. People have really been through the mill. Among our volunteers everybody had a story or knew someone who had lost everything… I’ve never before been so close to people who’ve been involved in a disaster like that, and you just want to bring some positive news. What better way than music, and bringing people to Townsville to support it? Now that you’ve got your feet under the AFCM, desk, what have you learned, how do you feel about last year and how do you want to build on last year’s festival? The AFCM takes up more than half my life. 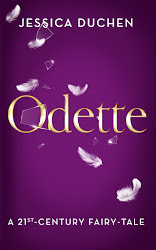 I was totally thrilled with last year’s - I couldn’t have hoped for it to go any better. There’s some trepidation coming into a scenario like that, especially with someone like Piers Lane as my predecessor, who’d been there for so long. People get used to things and it’s an extremely loyal audience - so if you throw in any curveballs, you never quite know how they’re going to come off. What thrilled me was that after two days I was relaxed, I knew it was going well and audience members started coming up to me to say they were enjoying themselves. But actually the support of the musicians I had was amazing. They all knew that it was my first festival and it was important to get it right. And the way they bonded together was beyond belief. It’s nice now to see some of them working together, having met there for the first time: some new musical relationships have been established. I learned that I don’t want to play as much as I did. I probably will still end up playing too much, but I did learn my lesson! Nothing went wrong, but I was exhausted by the end. And you realise what has to happen to make this festival work - I was staggered to see how many hours the volunteers put in, and to understand what people are giving up in order for us to do what we do. Of course there are always lessons to be learned, but all in all I was super-happy with it. What do you have in store for your audience this year? It’s a wonderful spread of pieces from the 13thcentury to the present day, and it’s fairly full-on! There are some really unusual flavours, which is what I enjoy most - I don’t want it to be what you can hear everywhere else. One person came up to me and said: ‘Thank you for programming some music we just never hear’! Are you having a festival “theme”? Themes are tricky because you can get boxed in quite easily; it’s difficult to sustain a theme over 30 events and suit everybody. Still, I’ve come up with the theme of ‘Origins’ - which means lots of different things in this context. Some things are obvious, such as nationalistic music like Janácek and Smetana, Dvorák Slavonic Dances, Liszt Hungarian Rhapsodies and so on. Themes and variations are next, since the theme is the origin of the variations. 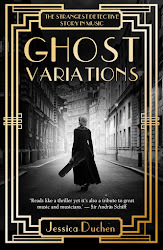 Then there’s music that’s been transcribed; and quite a few pieces with fascinating stories behind them. A colleague suggested the Vierne Piano Quintet: his son, Jacques, was executed at 17 after things went badly wrong in World War I, and he wrote this as a result. All in all, there’s an interesting mix of artists who know each other and some who don’t, some who are making their festival debuts and some who’ve never been to Australia before. You can never predict exactly how it will turn out, but I’m happy with the way it looks. I’ve listened to every piece and I think I’ve got the right combination of people playing the right works. You can’t do much more than that! Last year I loved the Winterschool and the family events - more of these, I hope? The family concerts might look predictable at first glance, with Poulenc’s Babar the Elephant, which I totally adore, and Stravinsky’s Firebird, which Ashley Wass and Matthew Trusler have arranged. But both will involve extensive community activities, so we’ll have interactive visuals and we’ve got people building sets, local dance schools are involved, and there are some little actors. It’s nice to build up this side of the activities, otherwise it’s just piano and narrator - I want more going on! The Winterschool is going from strength to strength and the fantastic Pavel Fischer is in charge once more. Who’s this year’s composer in residence? In the past they’ve been well-established, names everyone knows in Australia and further afield. But last year the percussionist Claire Edwards brought a piece by a young composer called Connor D’Netto, who came to London to do his Masters. I went to meet him – and I thought let’s have a change and invite a young, emerging composer. He had to have enough material, though - so we’ve got him a commission to write a quartet for the Goldners. I’ve just been working on a piece called Tracesfor cello and piano, which is difficult but I’m really enjoying it, and there’s a piece for viola and electronics; about five pieces through which we will hear how his style is moving and developing. Purely by chance he’s from Brisbane, so people in Townsville are thrilled that he’s a Queensland boy. I see you’ve broadened out the baroque evening? We’re having two baroque concerts. The first is Baroque around the Clock, in which a Dowland song rubs shoulders with Thomas Adès’s Darkness Visible which is based on it, and a piece by Ligeti in is amongst everything: it’s a real mixture of eras, but all based on baroque themes. Then the evening features Vivaldi concertos with ensembles made from the Goldner and Australian String Quartets. We’ve got a harpsichord this year and Roberto on his gamba, so that all worked out, and there’s some Monteverdi - and for Bach fans, the Italian Concerto. You’ve recently been in Australia, promoting this year’s festival. How did it go? It was a whirlwind! This was my first-ever publicity tour, and I did 11 flights, six cities and one interview after another. No concerts, though, because I’m on my concert sabbatical. I played five minutes here and there with someone else, but that’s literally all since the end of August. That’s why my social media posts recently have all been about my spaniel, Archie. Last but by no means least, how have you enjoyed your sabbatical? 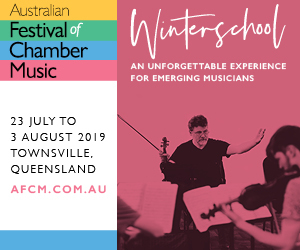 Booking for the 2019 Australian Festival of Chamber Music is now OPEN and full details are here. The other day I spent a happy few hours in the National Theatre's costume hire warehouse, trying on 18th-century garb. I did find something in which I could actually breathe, which was a good start. I hope it'll work. No, it will not be anything like Lucy Worsley. Yes, I really hope we can do some version of it in the UK too. You might remember I trotted off to Leipzig in October and was duly bowled over by Bach's Thomaskirche, to say nothing of all the Mendelssohn and Schumann connections. 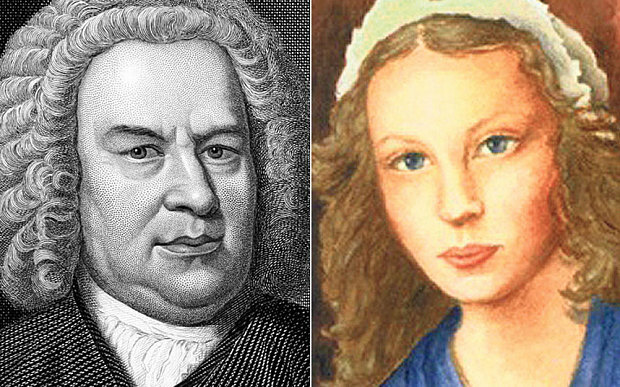 But there was a special reason for going to see Bach's home environment, and at last it is all announced. Kathryn Stott, who has taken over as artistic director of the Australian Festival of Chamber Music in Townsville, Far North Queensland, has assembled an astounding, fresh and gorgeous festival for this July-August, with a stunning array of international performers and repertoire old, new and brand-new, from Chausson to Bach - the violin partitas by candlelight with Karen Gomyo - to the Gypsy Kings; Chinese music from Sheng master Wu Tong, and Argentinian bandoneonist JP Jofre with tango; and there'll even be concerts on uninhabited coral islands - Townsville is on the Great Barrier Reef coast. The full festival programme is here. And I am just a little bit thrilled to be part of it all. The festival has performed some of my stuff before - A Walk through the End of Time and the Viardot-Turgenev programme were both done there 8-10 years ago under Piers Lane's direction - but for logistical reasons this will be my first visit. British pianist Kathryn Stott has just been announced as the new artistic director of the Australian Festival of Chamber Music in Townsville, taking over from Piers Lane. The town in Far North Queensland has its fair share of palm trees, sunshine and proximity to what remains of the Great Barrier Reef; for decades the festival has welcomed the great and good of the music world to its delights. Piers has been in situ 11 years and Kathy will be only the third director to hold office. Born in Lancashire, Kathy studied at the Yehudi Menuhin School and at the Royal College of Music with Kendall Taylor. Aged 19 she was a finalist in the Leeds International Piano Competition and shot to fame; now she has long enjoyed a busy career juggling solo work, chamber music including a duo partnership with Yo-Yo Ma, teaching at the Oslo Conservatory of Music, and the occasional curating of festivals and concert series. She tells me she had been keeping an eye out for something longer term in that department, but is more than thrilled to have been recommended to the AFCM, where she has been a frequent visitor, by Piers himself. I'm not sure for whom I'm happier: the festival having her, or her having the festival. Congratulations all round! Here's Kathy playing Fauré's Impromptu No. 2.